Student affairs professionals, faculty and students from across the nation will discuss student activism and advocacy when they meet at Florida State University’s 26th Annual Jon C. Dalton Institute on College Student Values Feb. 4-6. This year’s Dalton Institute will examine student advocacy and activism and a university’s role in leveraging this piece of the student experience to encourage personal development and intellectual growth. Atira Charles is an assistant professor of management in the School of Business & Industry at Florida A&M University and CEO of Think Actuality LLC. George Kuh, an adjunct research professor at the University of Illinois and Chancellor’s Professor of Higher Education Emeritus at Indiana University, is a well-known researcher of student development and higher education assessment. The Rev. Dr. Jamie Washington is the president and founder of the Washington Consulting Group, a multicultural organizational development based in Baltimore, Md. Washington has served as an educator, administrator and consultant in higher education for more than 32 years and is the president and a founder of the Social Justice Training Institute. Penny Rue, vice president for Campus Life at Wake Forest University, is nationally known for her creative leadership in strengthening campus communities. She recently testified in Congress about sexual violence on campus and Title IX issues. First held in 1991, the Dalton Institute has provided an opportunity to learn about the most current issues, research and educational activities pertaining to character education in college. 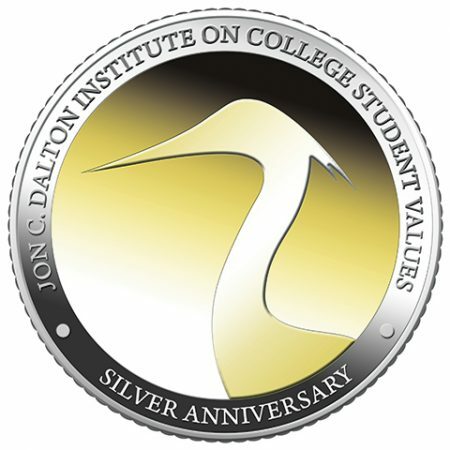 Originally the Institute on College Student Values, the conference was renamed the Jon C. Dalton Institute on College Student Values in 2010 to honor the work and commitment of Jon C. Dalton, the institute’s founder and faculty-in-residence. For more information, visit https://studentvalues.fsu.edu/.